1. A Contributor creates an order in the wallet front-end. 2. Contributor submits KYC and is verified. 3. Disposable Invoice address is created and displayed in the wallet front-end and sent via e-mail. 4. 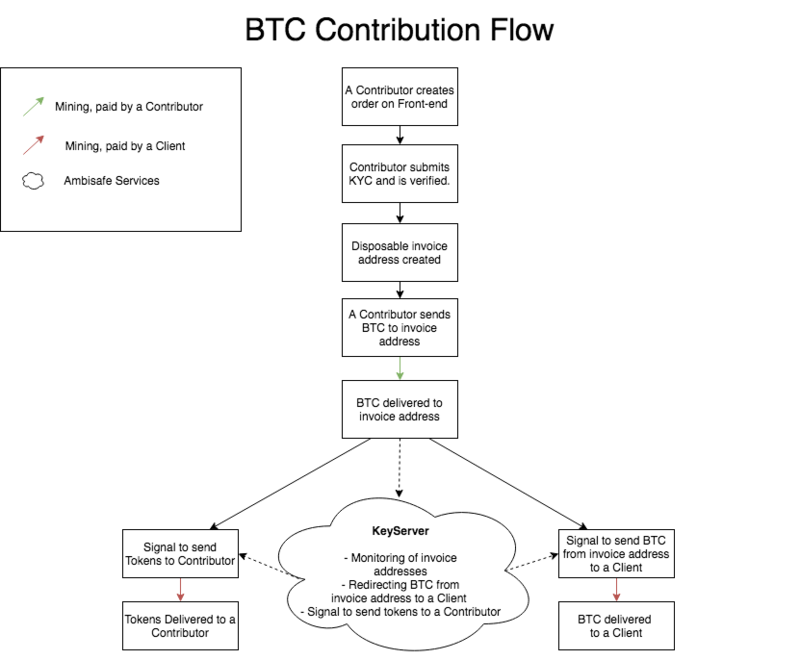 The Contributor sends BTC from his BTC wallet to Invoice Address. 5. Transaction Mining (paid by the Contributor). b) transfer BTC from the Invoice address to the Client's address. 7. Transactions mining (paid by a Client). b) BTC delivered to the Client's address.